Donald Wexler, who helped define Palm Springs architecture in the 1960s, will be honored for his contributions to the profession at the three-day Wexler Weekend, Jan. 22-24 in the city where he built his reputation. Wexler, whose archives are housed at Cal Poly Pomona, designed the iconic Palm Springs Airport and counted Frank Sinatra and Dinah Shore among his celebrity clients, but he is best known for his steel houses. The virtually all-steel structures were fabricated at a factory and assembled on site â€“ a revolutionary technique for residential construction at the time. 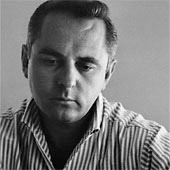 Wexler and his partner Ric Harrison master-planned a neighborhood of 38 such homes, but changes in the steel companyâ€™s management structure in the early 1960s limited the project to seven sites. Most have been restored and are a must-see for devotees of Palm Springs modernist architecture. Although Wexler is best known for his residential and business projects, his work on more than 30 public schools throughout the Coachella Valley is an important part of his legacy, Bricker says. The Wexler Weekend kicks off Friday, Jan. 22 with the screening of â€œJourneyman Architect: The Life and Work of Donald Wexlerâ€ at the Camelot Theatres. On, Jan. 23, which is Wexlerâ€™s 84th birthday, guests will enjoy a champagne brunch, followed by a five-hour house tour and an evening fund-raiser. A clip from the documentary “Journeyman Architect: The Life and Work of Donald Wexler” released by Design OnScreen. The weekend will conclude on Jan. 24 with an event at the Wexler Steel Houses and a book signing of a Wexler tribute journal written by architect-author Patrick McGrew. 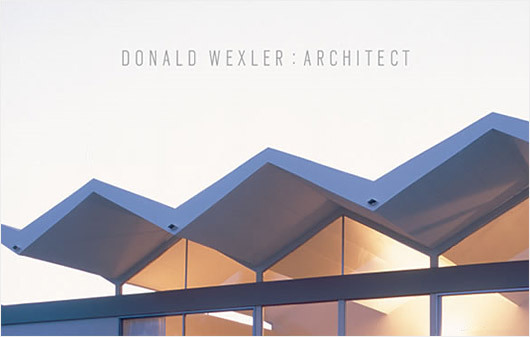 The 56-page monograph is based on extensive research and interviews with Wexler. “While the Wexler Weekend is full of great activities, what will remain long after the three-day event is our 56-page Don Wexler tribute journal,â€ says Ron Marshall, chair of the Palm Springs Preservation Foundation, which is sponsoring the event. â€œThe foundation is very proud of its long history of publishing similar journals that celebrate the architecture of Palm Springs. The addition of a Wexler tribute journal to that small library will help educate a broad audience about the importance of historic preservation in our desert oasis.